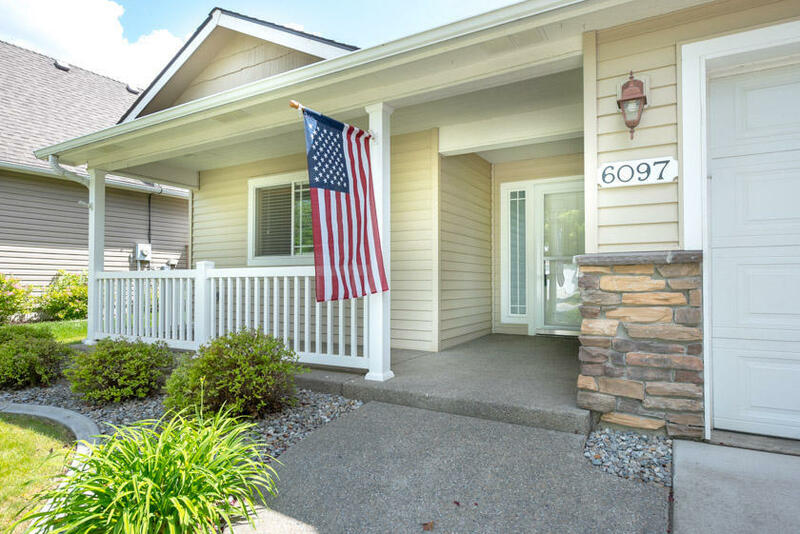 Coeur d'Alene Place is a pedestrian-oriented community started in 1994 with a focus on traditional people-centered neighborhoods within the larger community. It's reminiscent of the communities we remember from the good old days, where neighbors visited on front porches, children walked to school, and families played together in local parks. There are more than 2,300 homes planned on over 640 acres that include a diverse range from apartments, townhouses, alley homes, traditional homes and modest to estate-sized homes. More than 70 acres are dedicated to parks, playgrounds, greenbelts and an extensive trail system. As you drive through the main entrance to Coeur d'Alene Place, you'd be hard-pressed to picture the flat fields that the developers originally purchased. A large piece of land was sacrificed at the entrance to create a buffer from the intersection. You'll pass through the sweeping brick gateway, and drive through beautifully landscaped rolling hills and clusters of evergreens. There are no checkerboard style streets. Instead, the streets wind through the neighborhoods. Not only is it pretty, but it serves a traffic calming function, slowing down drivers and making the streets safer. The developer, Greenstone Homes, changed up the traditional home design of the garage protruding in front. They added front porches that sit slightly ahead of the garage which directs attention to the beauty of the house, not the garage door. 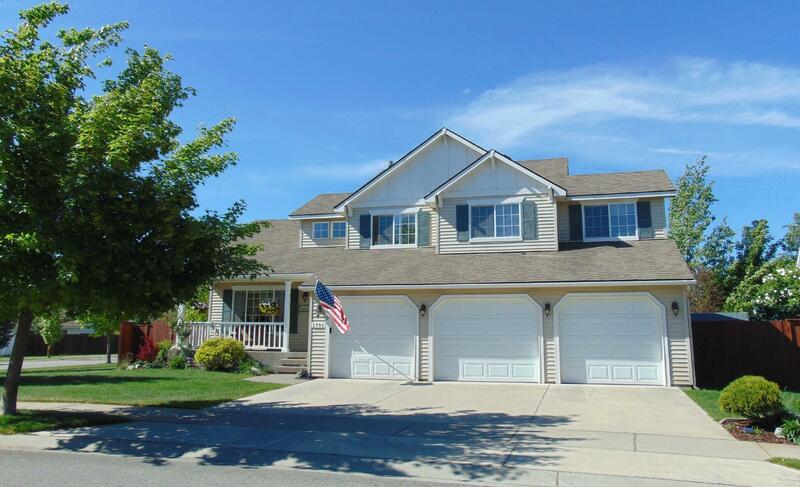 Coeur d'Alene Place is designed so that no home is more than a five-minute walk from one of the seven parks. Those parks feature a basketball court, playgrounds, picnic areas, ball fields and restrooms. In the summertime, bring your blanket and watch a movie outdoors with your family in the Park at Palais on an inflatable screen. Bluegrass Park is the 12-acre heart of the community. Located at the center of Coeur d'Alene Place, it features a water spray park, covered picnic areas, playgrounds and bathrooms, and functions as the community center. A network of more than 10 miles of extra-wide walking and biking trails link the neighborhoods within Coeur d'Alene Place. 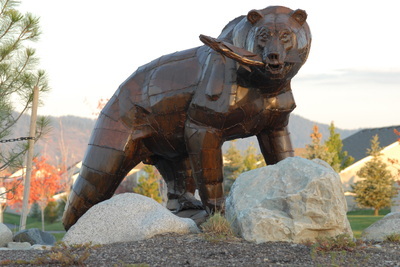 The Prairie Trail utilizes an old rail bed that connects to the Centennial Trail and takes you to local restaurants, schools, shopping - even Riverstone, the Kroc Center and downtown Coeur d'Alene. There are artistic touches throughout the community. You'll find elegant brick monuments at the bottom of each light post and at intersections, identifying the streets. There are rolling hills and trees clustered in natural groupings along the winding trails. The trees in Coeur d'Alene Place aren't just pretty, they're functional. They are designed to beautify the community, slow traffic, and increase safety for pedestrians. They were planted so that as they grow, they'll canopy over the streets, creating a buffer between the homes and walkways, and the traffic. Children can walk or bike to the three schools in Coeur d'Alene Place: Skyway Elementary, Woodland Middle and Lake City High School. A homeowners association supports the maintenance of the parks, green spaces, trails and trees.